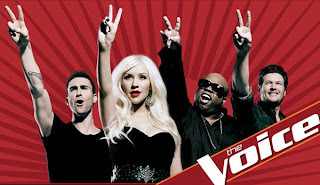 On Saturday night after we’d put the girls to bed, my husband and I sat down to catch up on the new season of The Voice. He’s been working a lot this week (between law school and his part-time job), so it was nice to snuggle on the couch and sip some honey mead while enjoying the music. We talked about which artists we liked, which coach would turn around and which coach the participant should pick. I’m rooting for Blake Shelton (because I like his music) and Christine Aguilera (just because). “Do you know what The Voice is?” my husband asked, which was the same question I’d been wondering. We watched a few episodes last year with the girls (they liked dancing to it), but it’s been a while since they’ve seen it. “What do people do on The Voice?” he continued. “They sing!” Sunshine declared and we laughed. Okay, if she knew what the show was, she could watch it with us. My husband found the website while I settled on the couch with the girls. For a few minutes, they were happy watching. Then Lily wanted some milk, so Sunshine wanted some juice, so Lily wanted some juice. On a commercial break, my husband went rooting through the fridge, causing both girls to want a snack. Silence reigned as they munched the first half of their bananas. Then the bananas got abandoned as they found a new game: climb on Daddy. After several rounds, I put a stop to the game. They complained and tried different variations of the game (“let’s crawl on Daddy instead of walking on him!”) while I issues severe warnings to be quiet so I could listen to the artist who was finally doing a country song (my biggest beef with the show: not enough country artists, despite Blake Shelton’s presence there). Lily found her blanket and came back to sit on my lap, where she played hide and seek under the blanket. Sunshine put her pink stethoscope around her waist and pretended to call Grandma with the round part pressed against her ear. “Watch the show,” I told Lily as a new contestant came onto the stage, and she turned around, wrapped in her blanket, to give the show two minutes of attention. Sunshine found the MarbleWorks tower I built them a few days ago and began dismantling it. Lily joined her while I listened to the coaches’ comments on the last participant. Then Sunshine was on the couch in front of me, waving two wands made of MarbleWorks pieces in front of my face, while Lily sat in my lap trying to put her big wooden rosary over my head. As I dodged faces and rosaries and toys to see the game, I thought back to the night before. Same TV show. Same couch. Date night. Family night. What does “date night” or “family night” look like at your house? 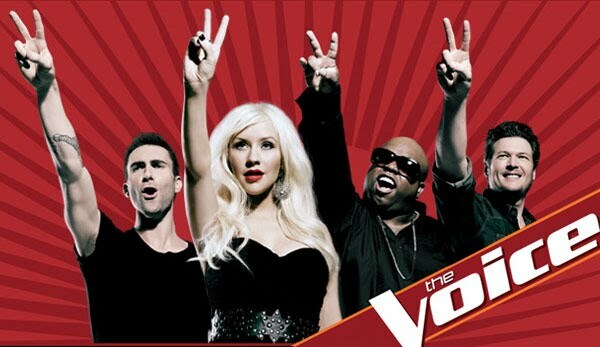 If you watch The Voice, whose team are you rooting for?